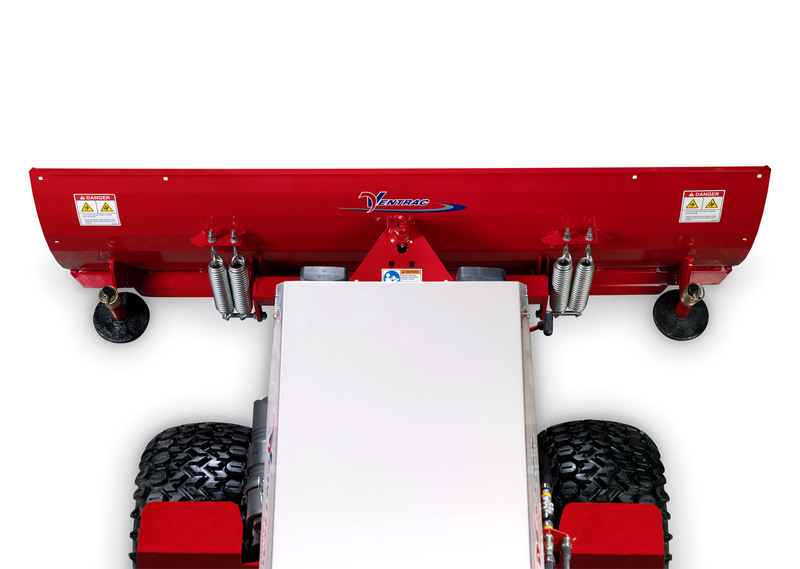 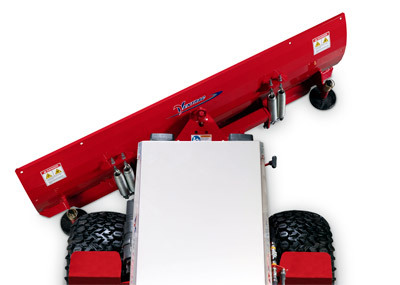 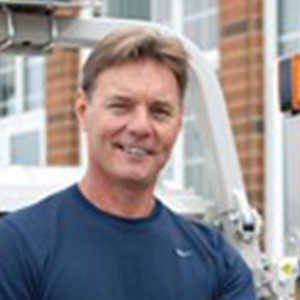 Ventrac KD Power Angle Blades have working widths of 48, 60, and 72 inches (122, 152, 183 centimeters). 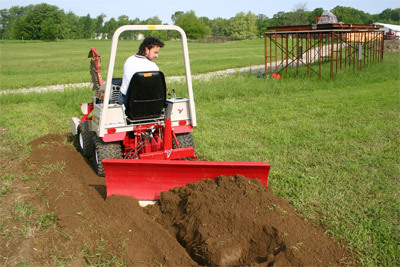 All control functions are performed with the S.D.L.A. control for raising and lowering the blade or angling it left or right. 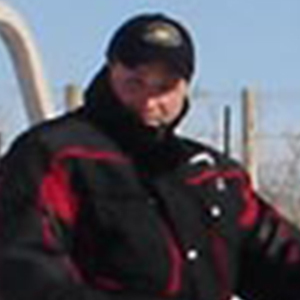 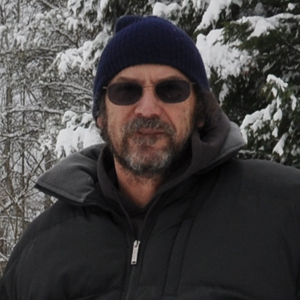 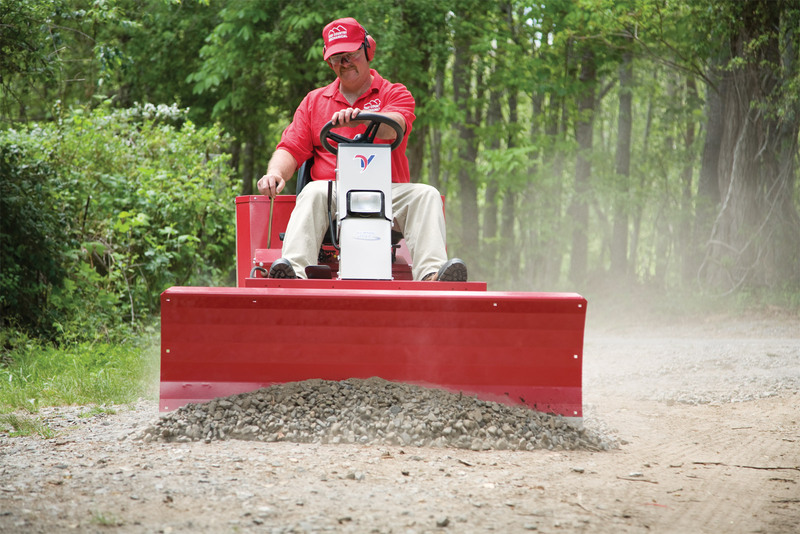 Adjustable skid shoes accommodate dozing at selected heights, such as moving snow on gravel driveways. The blades can be operated in a trip position for plowing or in a locked position for digging into material. 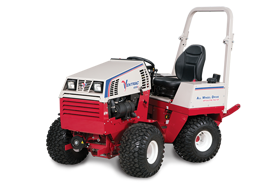 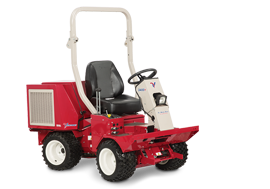 Ventrac Power Angle Blades are versatile, labor-saving attachments designed for any number of jobs. 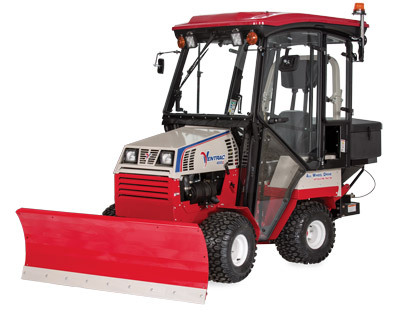 From grading, leveling, and backfilling ground to plowing snow, moving material, or cleaning an area, the Ventrac KD series blades are up to the task. 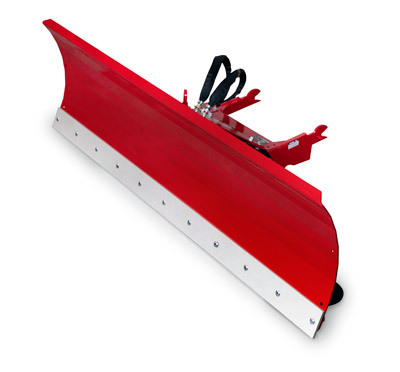 70.8032 KIT, POLYURETHANE EDGE KD 48"
70.8030 KIT, POLYURETHANE EDGE KD 60"
70.8031 KIT, POLYURETHANE EDGE KD 72"
Using the 3-N-1 adapter & 3-point hitch to operate the blade from the rear of the tractor. 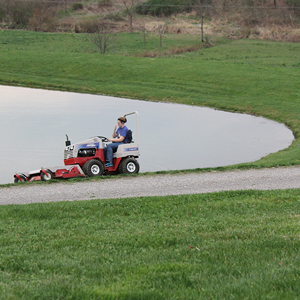 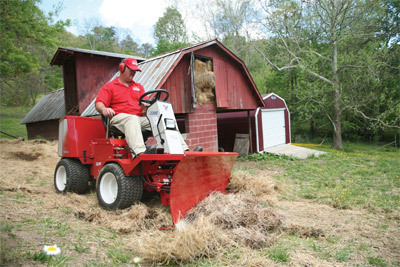 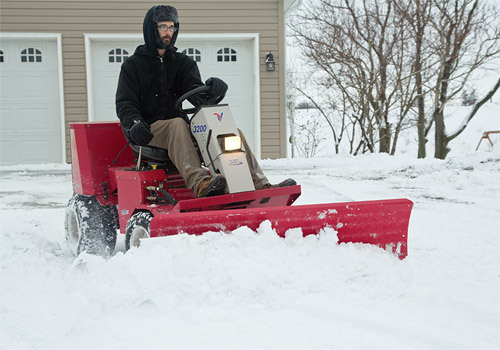 Use the Ventrac straight blade year-round. 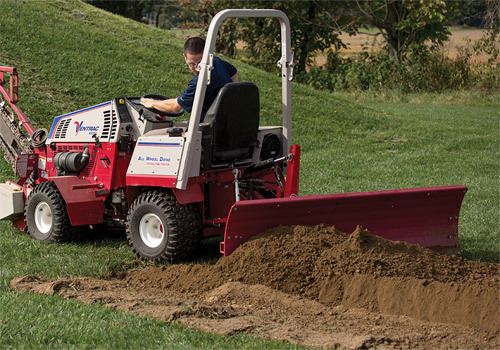 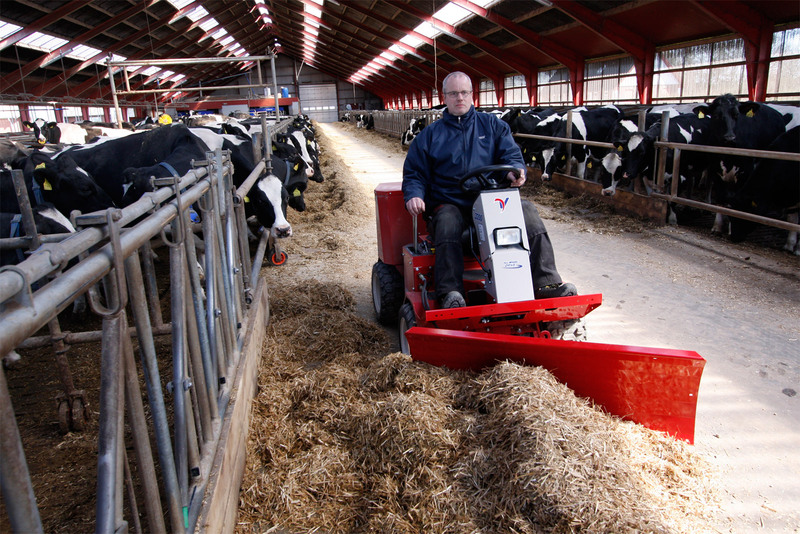 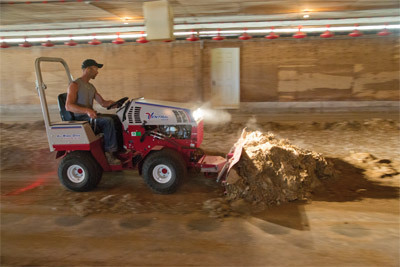 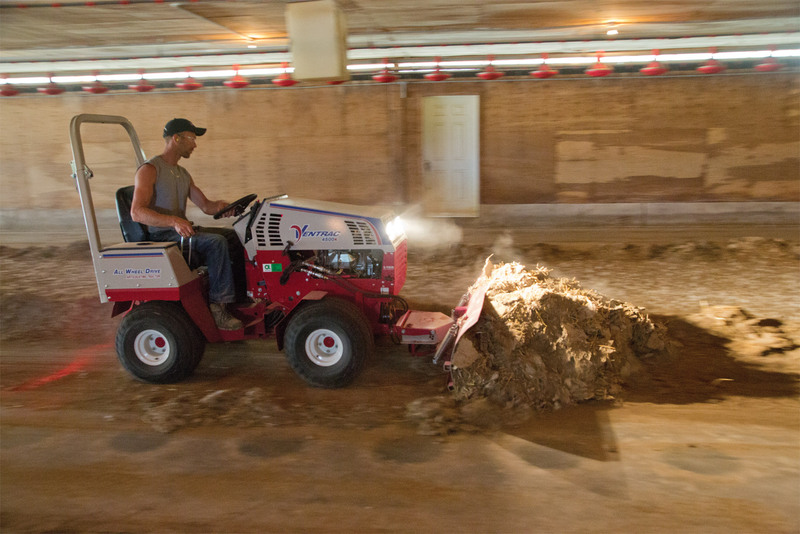 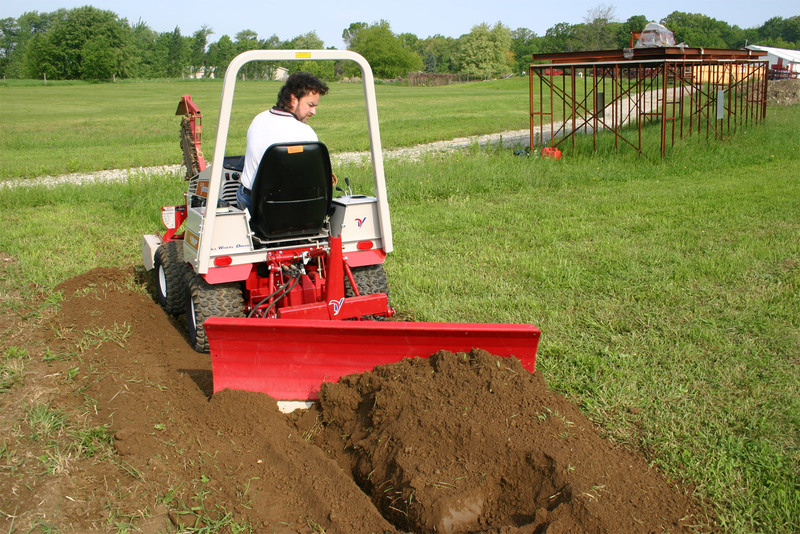 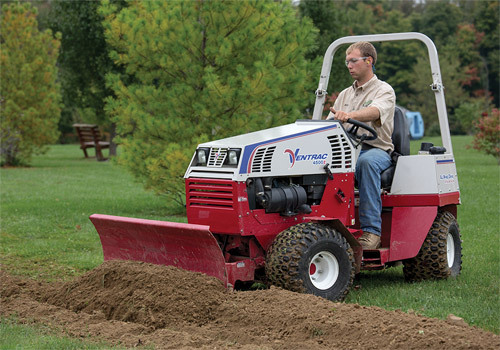 Use the Ventrac straight blade to backfill, level or push material. 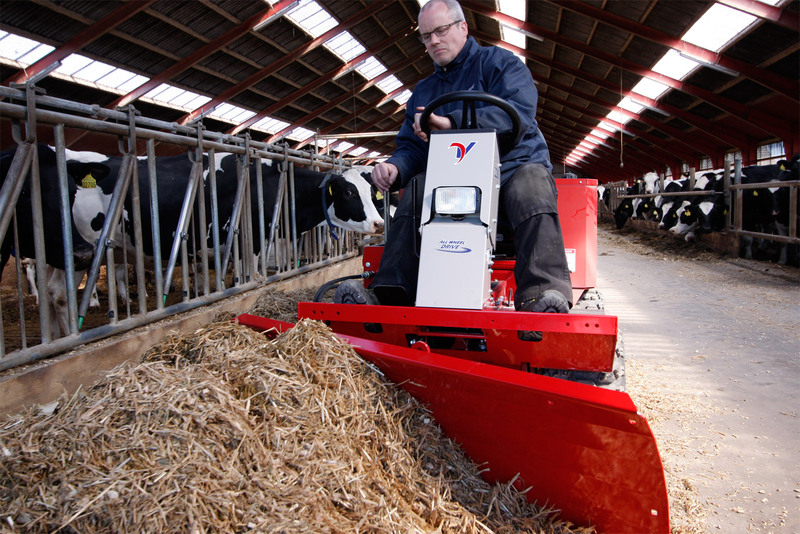 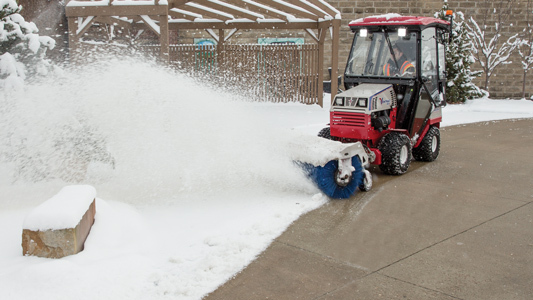 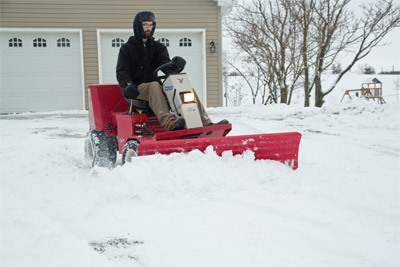 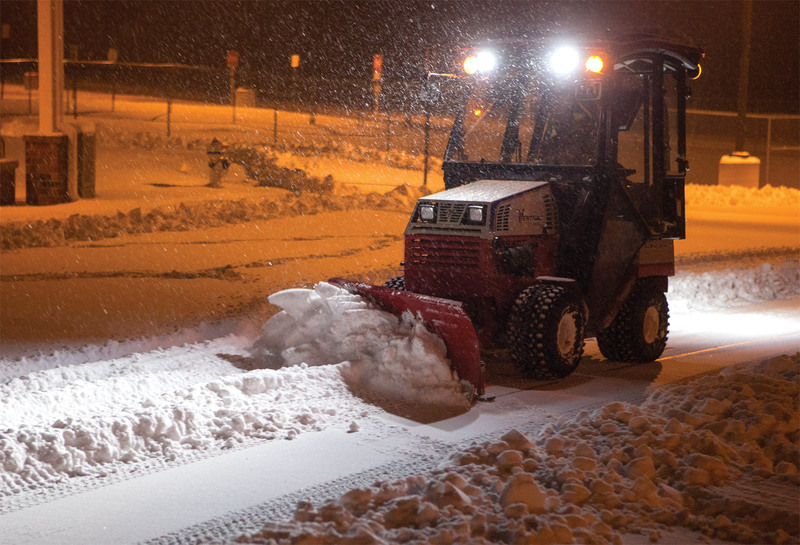 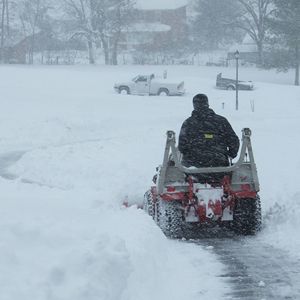 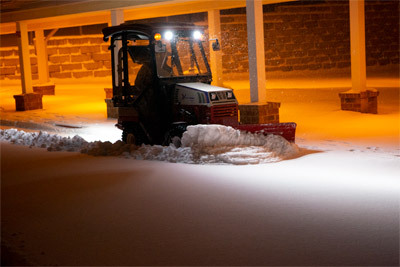 See the Ventrac blade in action in snow. Ground Clearance 13 in @ 0 deg. 13 in @ 0 deg. 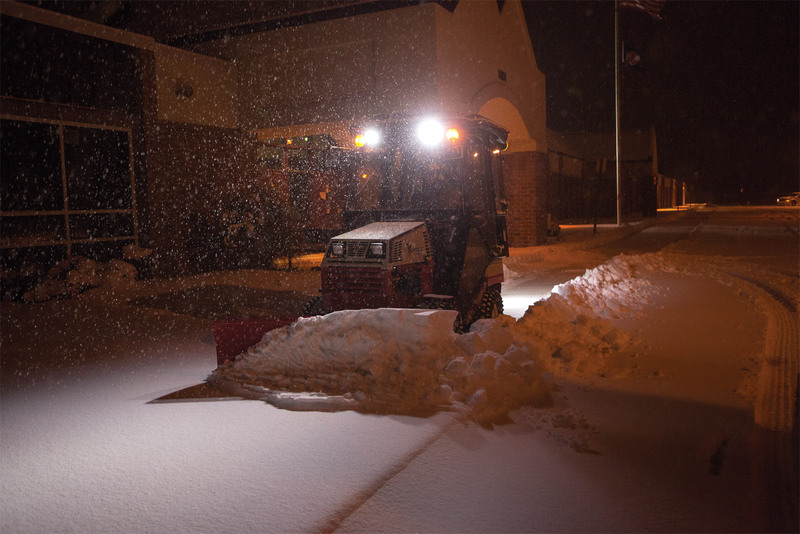 13 in @ 0 deg. Enlarge Picture / Press Link · Ventrac 4500Z with Complete Winter Setup - The 4500Z is pictured here with 72 inch dozer blade, fully enclosed cab, and broadcast spreader. 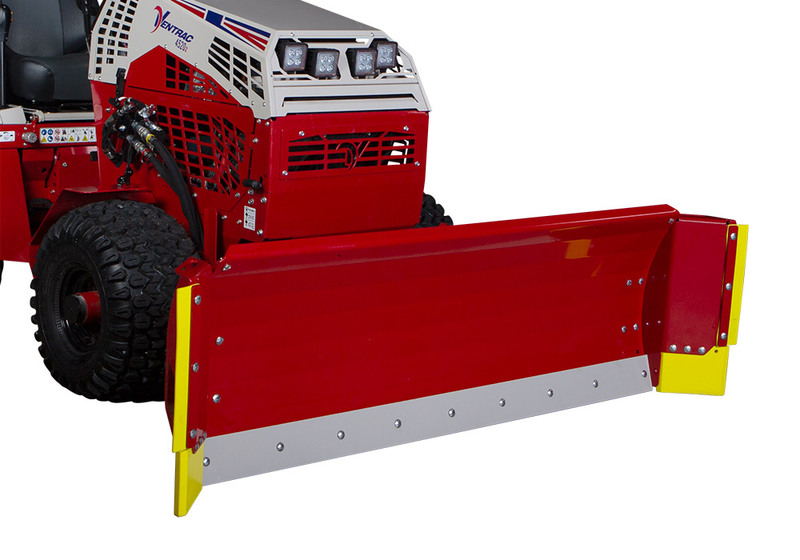 Enlarge Picture / Press Link · Ventrac Dozer Blade Front - The blades can be operated in a trip position for plowing or in a locked position for digging into material. 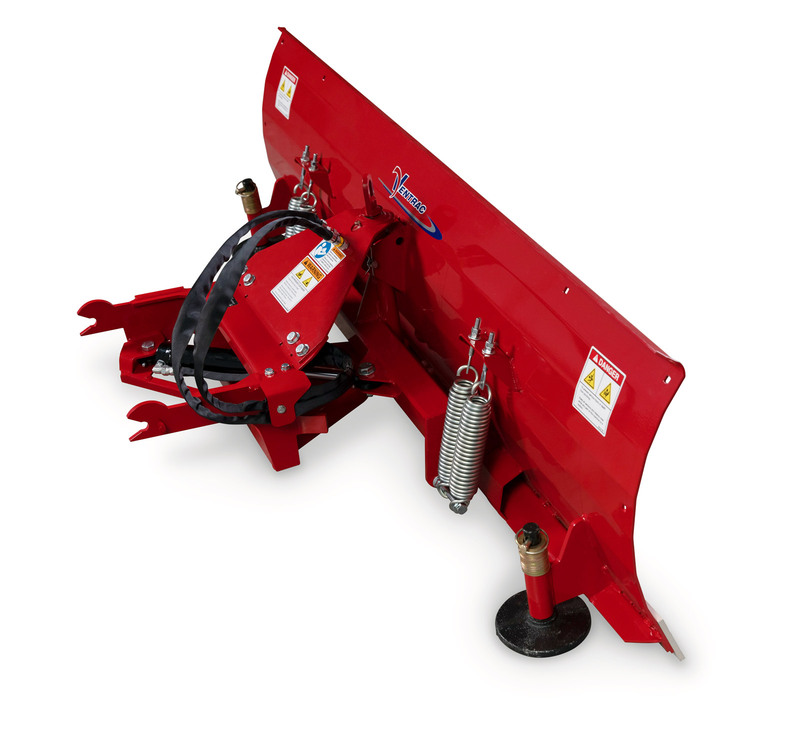 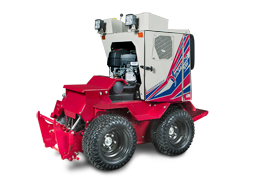 Enlarge Picture / Press Link · Ventrac Dozer Blade Rear - Adjustable skid shoes accommodate dozing at selected heights, such as moving snow on gravel driveways. Enlarge Picture / Press Link · Ventrac Dozer Blade Closeup - Closeup of adjustable skid shoe which also helps support blade upright when not attached. Enlarge Picture / Press Link · Ventrac Dozer Blade Profile - All control functions are performed with the S.D.L.A. 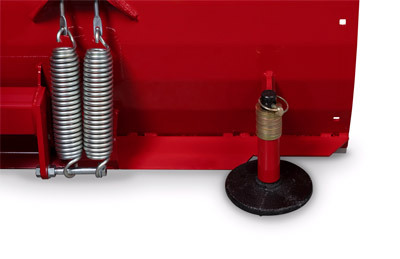 control for raising and lowering the blade or angling it left or right. 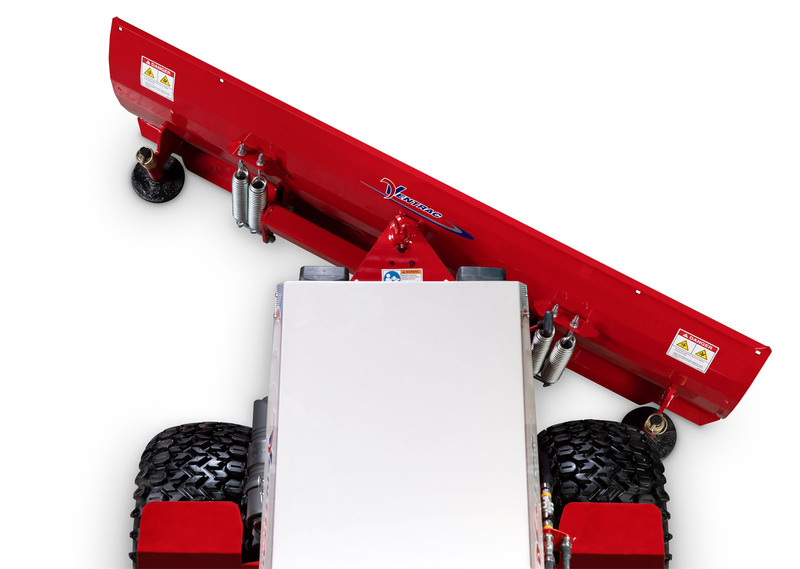 Enlarge Picture / Press Link · Rear Mounted - Mount to the rear of your Ventrac with the 3-n-1 adapter and 3-point hitch.